Travel Back in Time as We Take a Closer Look at the Backstory to the Newly Re-Imagined World of Disney Stores. The World of Disney Stores has been newly re-imagined, and we could not be happier! 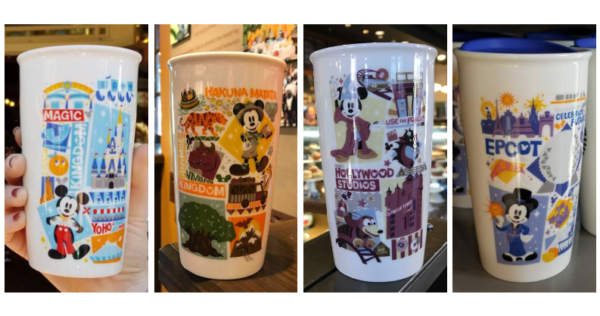 With the most anticipated store re-opening officially here, it is no wonder Disney Addicts are buzzing with excitement! The World of Disney stores are located in Downtown Disney at Disneyland and in Disney Springs at Disney World. They are your one-stop shop for items such as kitchenware, plush animals, Mickey ears, jewelry, or that special memorabilia to commemorate your magical adventures. As you journey through the store be sure to take a look at the decor and discover the small touches the Imagineers used for the store’s new re-imagined backstory. Imagineers enriched the store with new history tied to the legacy of The Walt Disney Company and Walt’s journey through California. Now join us as we journey back in time as we take a closer look at The World of Disney Store in California. Our journey begins as we immerse ourselves in the store’s past with “ghost art” and faded advertisements. While visiting The World of Disney in California, can you find the fading banner for “Adventure through California”? How about the ad for the 1401 Series Luxury Coaches, which is a reference to Imagineering’s street address? As we continue on our journey we enter into a famous animation studio. Through this imagined history, Walt Disney expanded his animation studio beyond the famous location in Burbank. Although The World of Disney stores are not animation studios they are still very much alive with the magic of Disney. Can you find the paint jars lining the wall behind the registers? Take a closer look, you might find a little extra pixie dust that brings the surrounding wall art to come to life! Of course, the imagineers don’t stop there! Those registers you are standing at? Those are re-imagined as re-purposed desks from the Nine Old Men themselves, which include actual sketches from the Animation Research Library! On the wall you will find a large bulletin board also dedicated to the Nine Old Men. The bulletin board provides snippets of animation advice for aspiring animators, as well as, caricatures of each of the men. You will also find find the reproduction of the Nine Old Men sketches, but don’t look away, never know what you might see! Take a look at the video below, can you find any more magical features that were not mentioned? Tell us what your favorite part of the new store is! Mine has to be the pixie dusted paint jars! Pingback: Disneyland Resort Celebrates Spring with Eggstravaganza 2019!